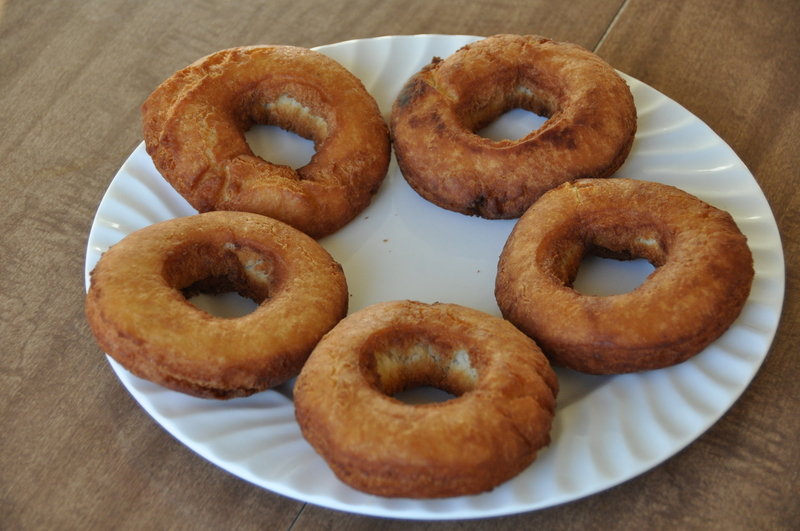 The recipe notes for Cake Doughnuts illustrate the two things that I absolutely love about James Beard’s books: how he provides cultural and historical context for the recipes, and how he is opinionated almost to the point of being a curmudgeon. 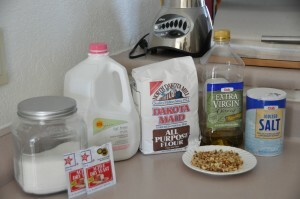 After my experiences with almost setting oil on fire and managing to adhere dough to wax paper, Cake Doughnuts were the final Fried Cakes section recipe. 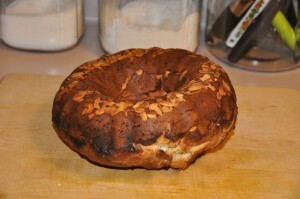 I halved the recipe, and substituted nutmeg for mace. 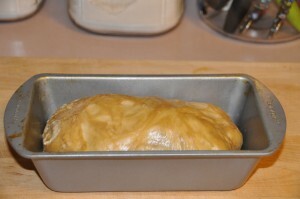 Last night, I mixed up my dough and left in refrigerator overnight to chill. 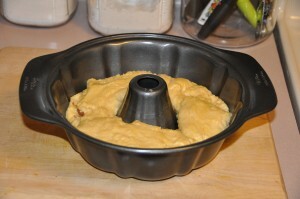 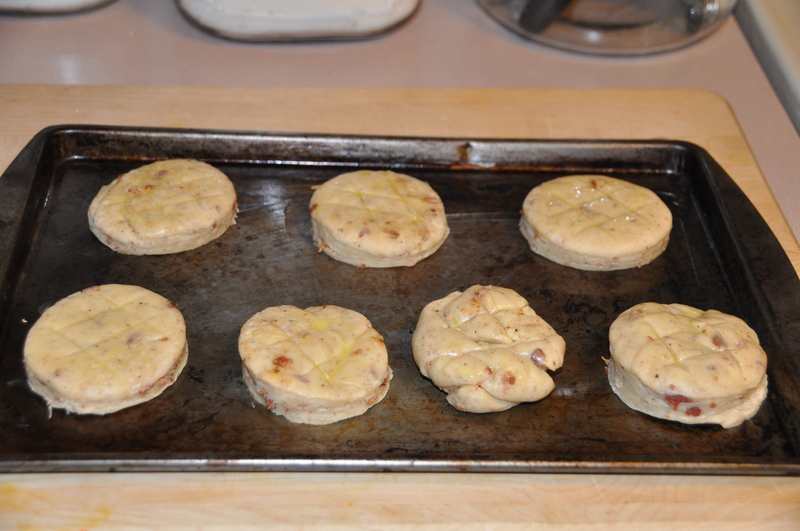 The dough was similar in texture to a sugar cookie dough (and like sugar cookie dough, tasted pretty good). This morning I rolled out the dough to a thickness of 1/4 inch and used my doughnut cutter to cut out some doughnuts and holes. 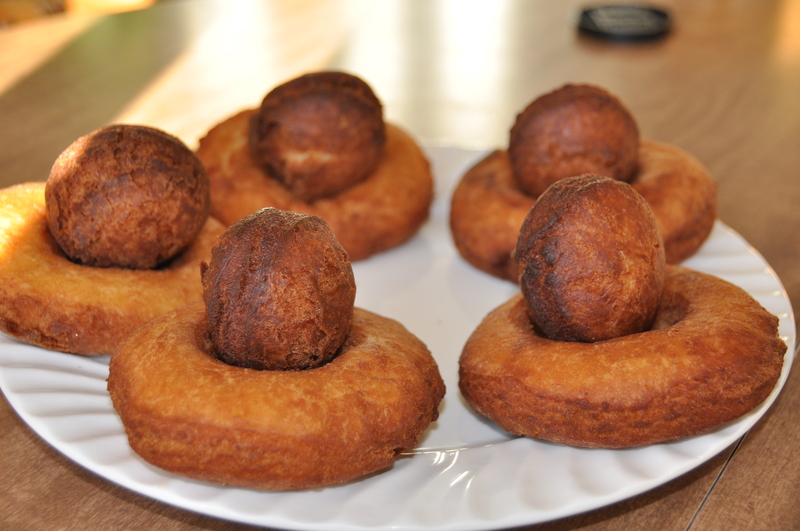 Keeping in mind my previous frying experiences, I was very careful to maintain the oil temperature at 370 degrees and fried the holes for twice as long as the doughnuts to ensure that they baked all the way through. 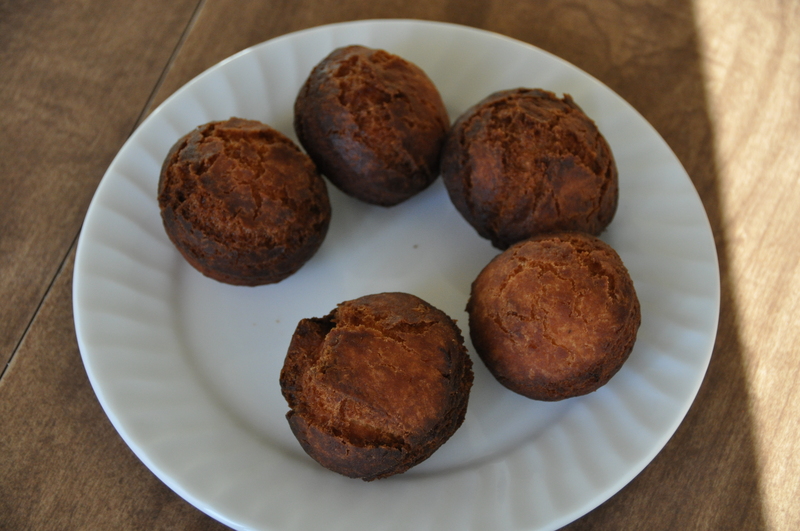 Homemade Cake Doughnuts are delectable beyond anything you will find at the grocery store, or even Dunkin’ Doughnuts (and I say this as someone who would happily open the first Minnesota franchise). 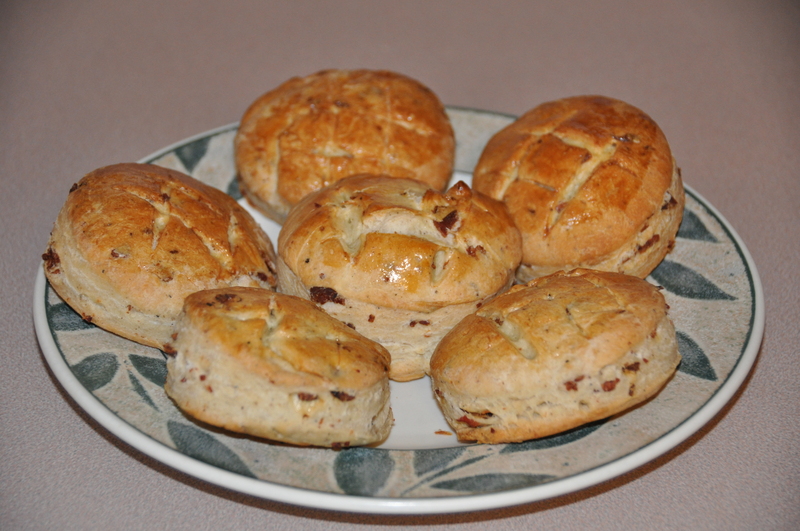 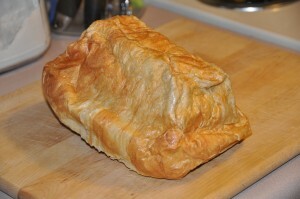 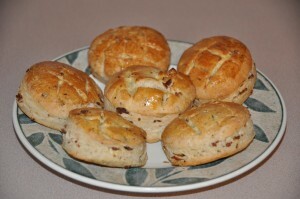 The outside is cooked to a crisp perfection, with a soft, sweetened inside. 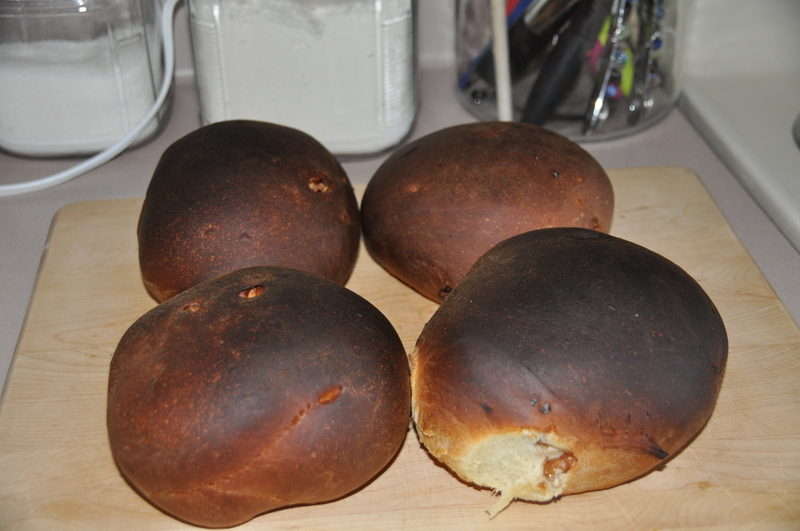 I think they’re wonderful plain; Mike frosted his with the maple glaze recipe from Maple Bars, and reports that the results were not revolting in the least. Since I couldn’t find rye meal, I used rye flakes that had been run through the food processor. 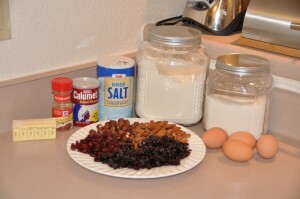 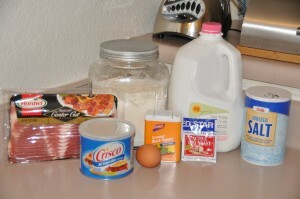 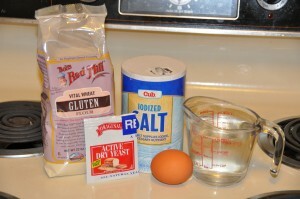 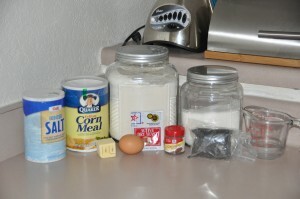 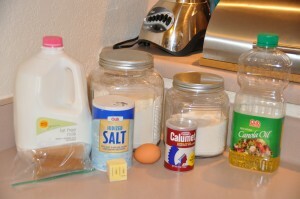 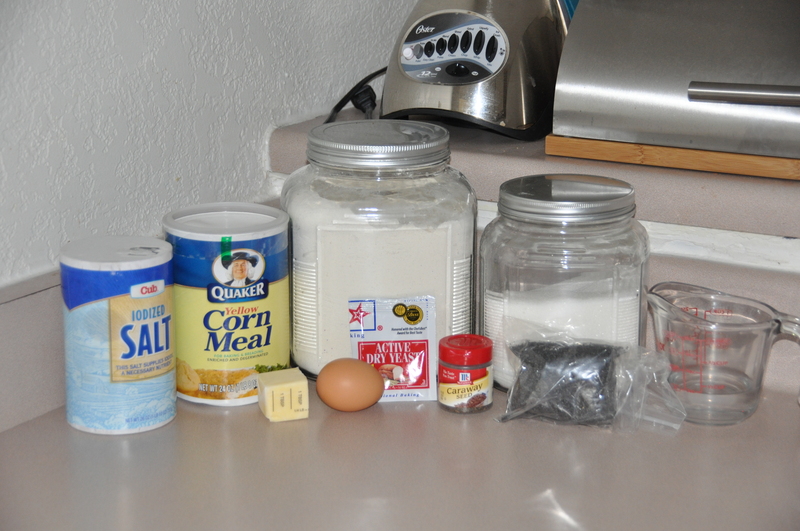 Boston Brown Brown is simple to prepare: you just mix the ingredients together and pour into a well-greased coffee can. 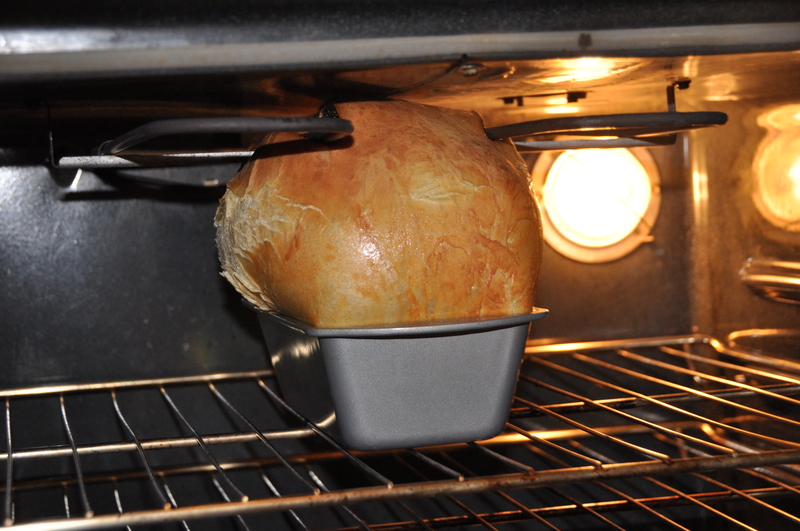 The next step is to steam your bread. 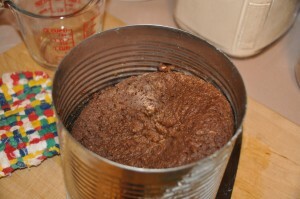 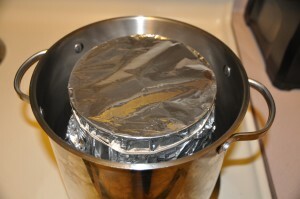 After covering the coffee can with foil, I placed a small can upside down in a stock pot and set the coffee can filled with batter on top. 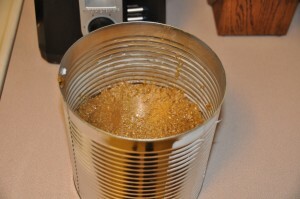 Next, I filled the stock pot with enough water to reach halfway to the top of the coffee can. I covered the stock pot, turned the stove up to medium-high, and let it boil, replenishing the water a few times to ensure that the level remained even. After two hours, my bread was finished. 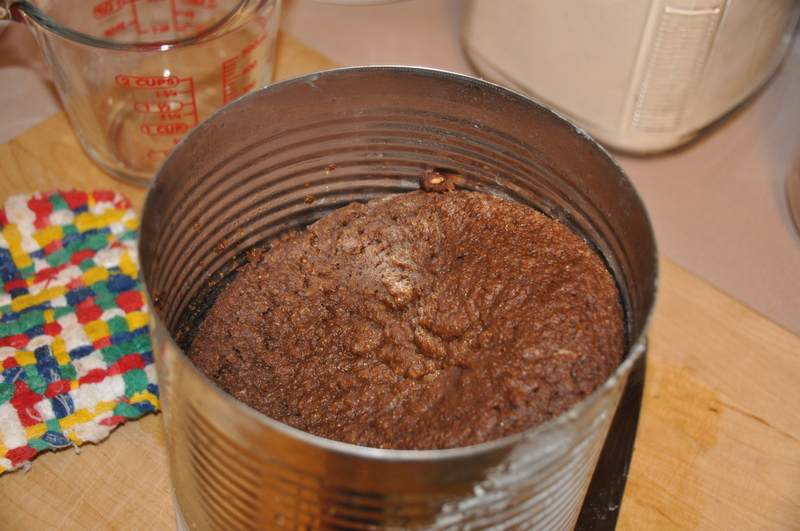 It ended up somewhat lopsided, because the boiling water knocked the small can underneath the coffee can to its side and the coffee can was at a tilt. However, it did cook evenly throughout. 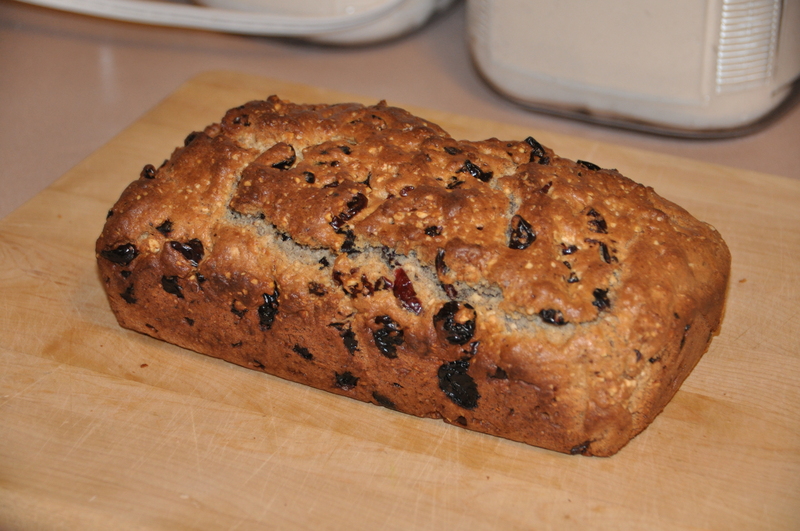 Boston Brown Bread has a texture similar to cornbread, but is slightly coarser due to the rye meal. 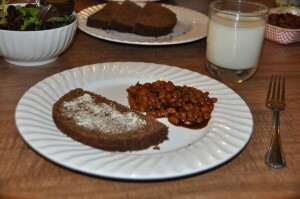 The molasses is nicely balanced out by the buttermilk and rye, and it is delicious with the traditional pairing of baked beans. 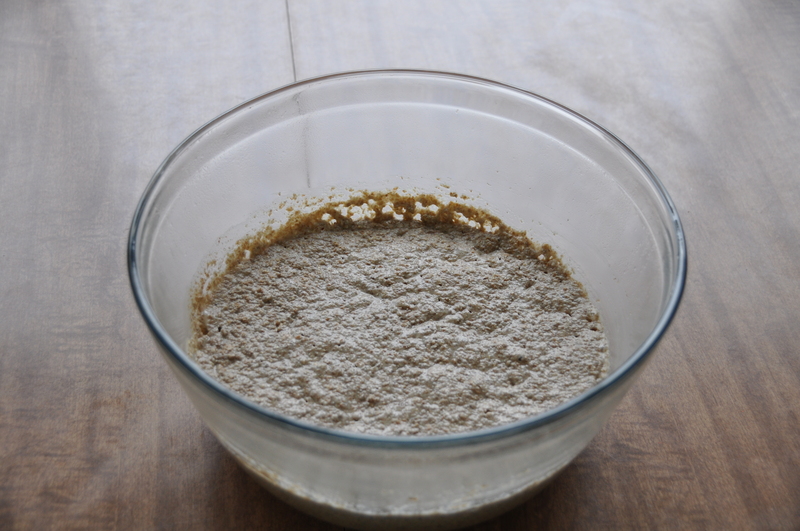 Sourdough Rye is a bread that requires some prep work. 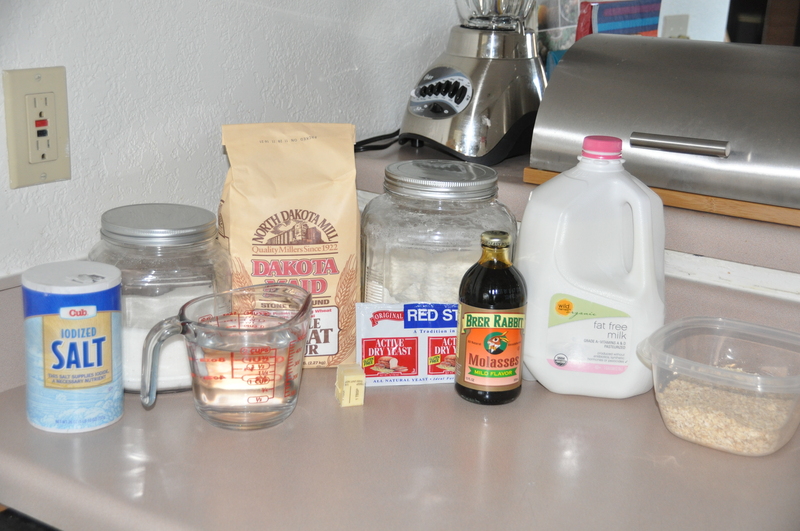 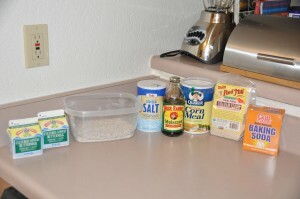 I started on Wednesday night, mixing together two cups of all-purpose flour, two cups of warm water, and a package of yeast. 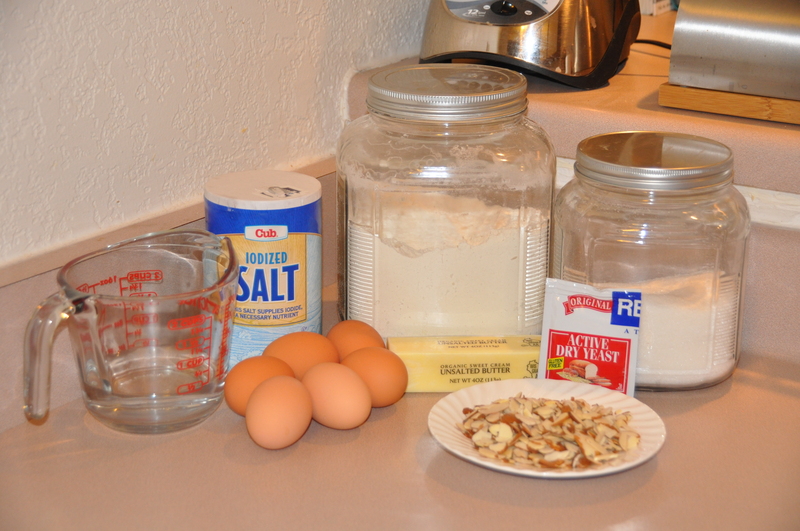 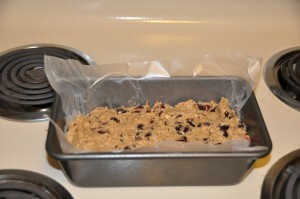 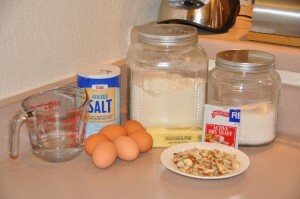 Then, I let the mixture sit on my counter in a tightly sealed plastic container for two days. 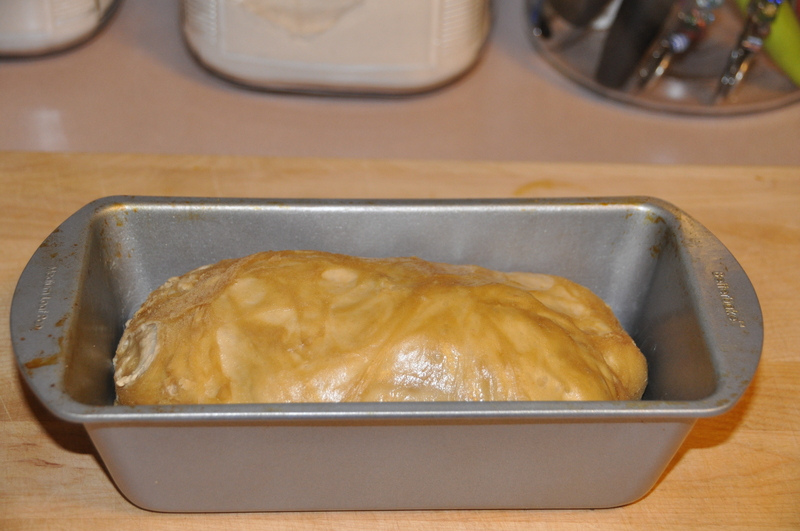 On Friday night, after a lovely dinner date with Mike and a couple glasses of Chardonnay (see, I occasionally do other things in my free time besides baking bread), I moved the mixture to the refrigerator. On Saturday night, I measured out a cup of the mixture, which can only be described as “sludge” and combined it in a large bowl with another cup of warm water and two cups of rye flour. Finally, on Sunday afternoon, it was time to start actually making bread dough. 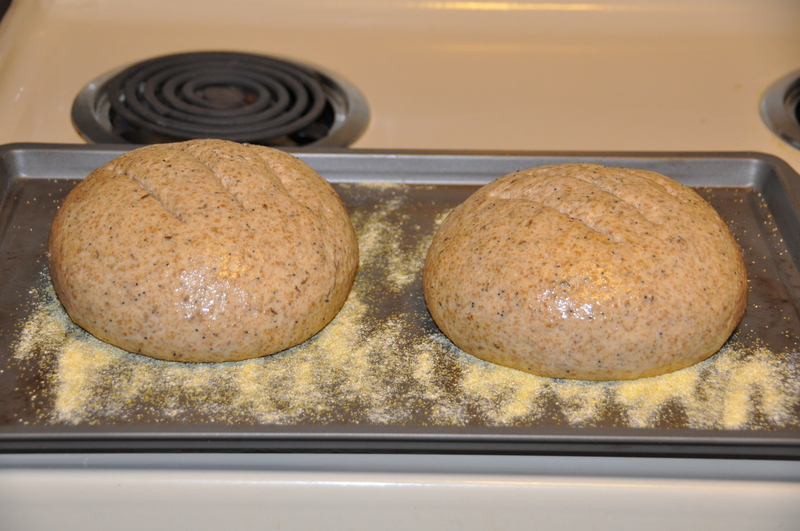 After kneading, I was impressed by how wholesome looking some caraway and poppy seeds made my bread dough look. 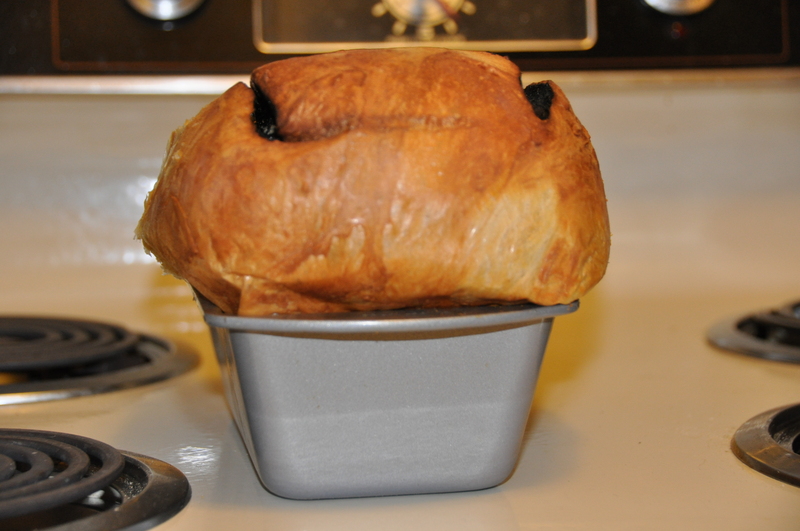 I let my dough rise for two hours, punched it down, formed it into two free-form loaves. 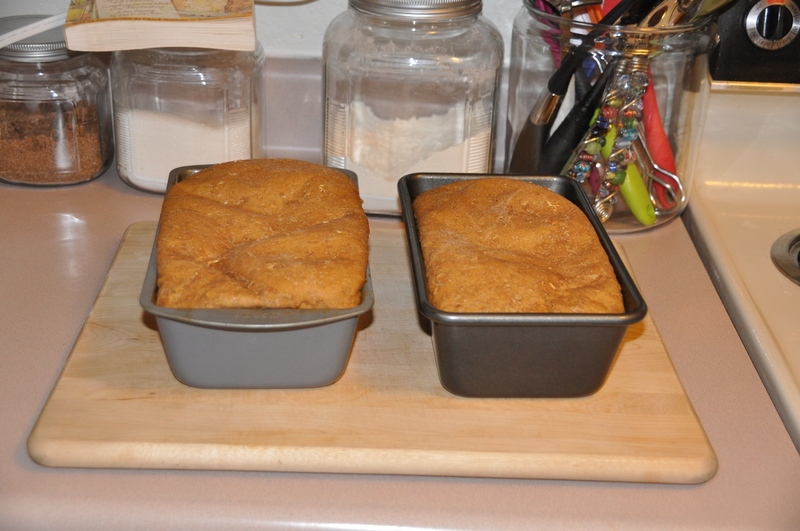 After another one and half hours of rising, I brushed the loaves with an egg wash and sliced the tops. The loaves were baked to perfection after 30 minutes at 375 degrees. Sourdough Rye is an absolutely delicious recipe. 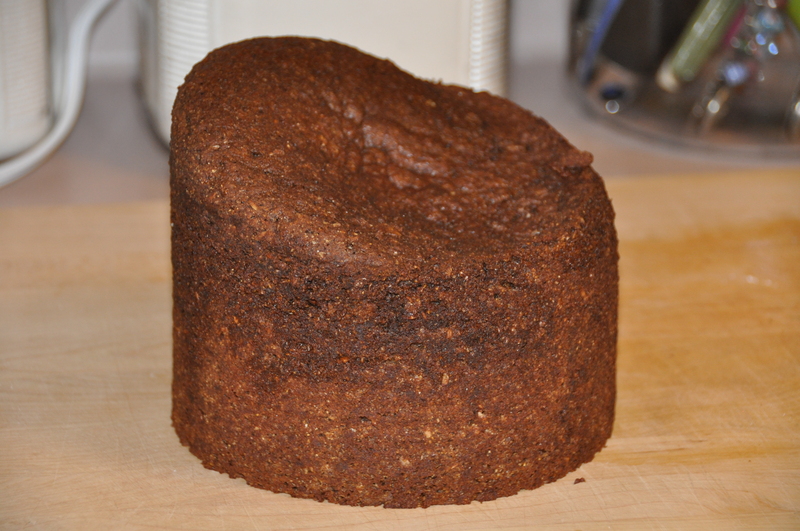 The texture is perfect, with an even crumb and an appealing crustiness, and the flavor is a balanced blend of caraway, rye, poppy, and sourdough. 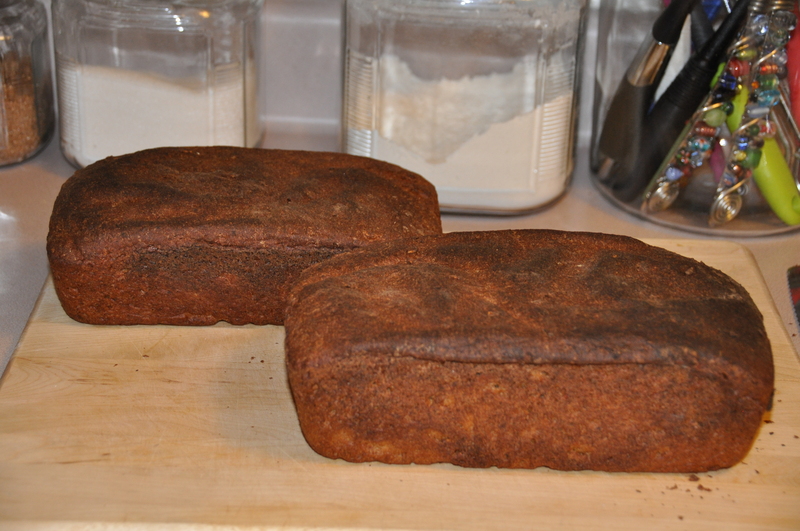 I can’t speak to whether it’s a good keeper–both of the loaves disappeared by Monday night. 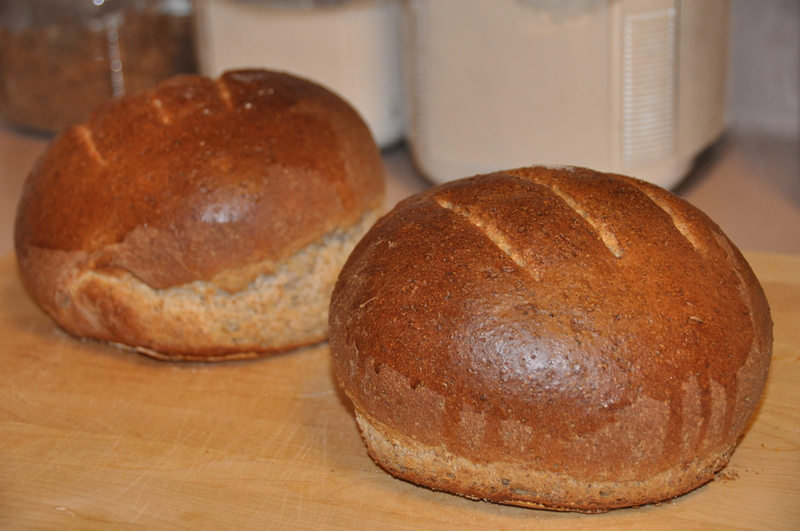 Sourdough Rye is one for the “favorites” list, and I highly recommend trying it. 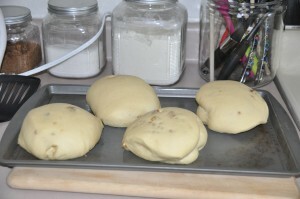 The recipe can be found at the James Beard Foundation’s website.